What is Ottawa’s climate like? 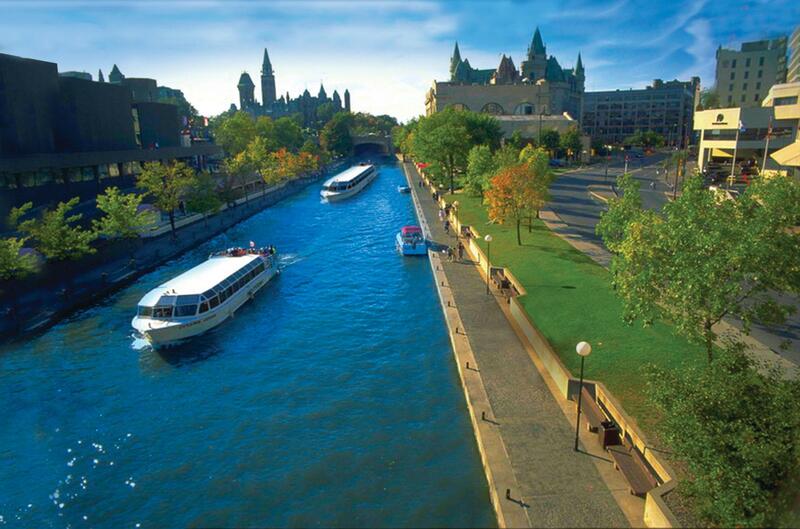 Ottawa’s four seasons provide an exhilarating canvas of colour, beauty, and recreational activity. Spring, summer, fall and winter are welcomed, and the changing seasons are an integral part of living in our city. Temperatures can range from 33° C (91° F) in summer to –40° C (-40° F) in winter, with average summer temperatures around 20°C (68° F) and average winter temperatures around –10° C (14° F). In summer, it is hot enough for residents to seek the nearest lake or swimming pool to cool off, while in winter, warm clothing is required. Both spring and fall are cool, and residents usually wear a sweater or light jacket. While cycling, swimming, tennis, golf and whitewater rafting are favoured activities in summer, winter’s white beauty offers its own recreational opportunities for skiing, snowboarding, skating, tobogganing and snowmobiling. Is Ottawa a good place to live? Ottawa is a “Bright City”. It is one of the world’s safest and most beautiful communities in which to live, work, learn, play, and raise a family. The city prides itself on its quality of life. It is home to a wide range of age groups from families with children to adult professionals to university students and senior citizens. As a G8 capital city, Ottawa is Canada’s showcase city to the world. It is endowed with a number of national museums and performing arts institutions, as well as a rich local cultural and heritage fabric. The city is graced with a civic design that places high priority on green spaces, parklands and trails, making Ottawa a bright and beautiful landscape for all to enjoy. The city's academic foundations -- from its strong public school system to universities, colleges and R&D centres of excellence -- contribute to Ottawa having the highest educated workforce in Canada. A bright workforce is a key foundation for a smart city and business success. Ottawa offers a wealth of choices in employment opportunities, from the federal government to the high technology and life sciences sectors, to professional services and the tourism and convention industry. Ottawa offers a bright future for all. What kinds of businesses are in Ottawa? The Ottawa region has three basic types of economic market sectors: export companies serving markets all around the world; regionally focused companies serving Ottawa residents, and businesses; and our rural economy. In 2001, the new City of Ottawa was created with the amalgamation of the Region of Ottawa-Carleton and 11 local municipalities: Cumberland, Gloucester, Goulbourn, Kanata, Nepean, Osgoode, Ottawa, Rideau, Rockcliffe Park, Vanier, and West Carleton. Blessed with more farmland than any other city in Canada, Ottawa’s farming revenues are more than Toronto, Montreal, Vancouver, Edmonton and Calgary combined. As many as 10,000 jobs in the City's overall economy are directly and indirectly associated with agriculture, helping to make Ottawa the agricultural and economic centre of Eastern Ontario. Ottawa temperatures can range from 33°C (91°F) in summer to -40°C (-40°F) in winter, with average summer temperatures around 20°C (68°F) and average winter temperatures around -10°C (14°F). Families in Ottawa had the highest median incomes of any Canadian city in 2001. 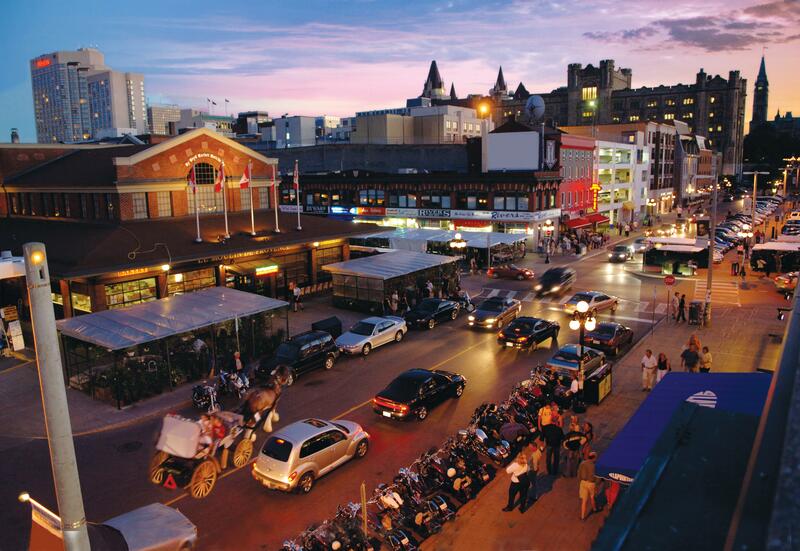 For the second consecutive year, 2005 saw the City of Ottawa rated the least expensive city in North America in which to live according to an international survey conducted by Mercer Human Resources Consulting. 94 per cent of residents feel Ottawa is the best place to raise a family. Approximately 78 per cent of Ottawans ranked the city’s sports and recreation facilities as among the best anywhere. Almost 50 per cent of Ottawa residents hold a post-secondary degree, certificate or diploma making residents among the most highly educated in Canada. Ottawa’s active workforce comprises approximately: 78,000 in advanced technology, 73,000 in the federal government, 70,000 in health and education, and 57,000 in trades. Ottawa is one of the nation’s youngest cities with nearly half of the population under the age of 35. Languages spoken include English (50 per cent), French (32 per cent), and a host of other languages including Italian, Chinese, Spanish, Portuguese and Arabic. Ottawa has the second-highest percentage of people who speak both French and English of any major Canadian city. Over 25 per cent of the City's population speaks a language other than French and English. Approximately 25 per cent of Ottawa’s residents were born outside of Canada. More than 20 per cent are members of visible minorities. 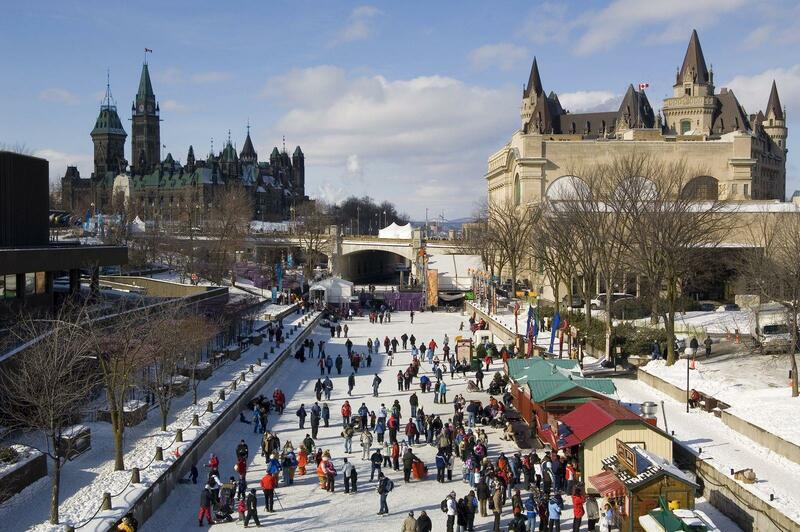 Ottawa hosts more than 35 major festivals per year – including the Tulip Festival, Bluesfest and Winterlude. OC Transpo bus ridership was 88.8 million in 2004. Recent ridership surveys show that record numbers of Ottawa transit users are getting on board the O-Train (light rail), peaking at over 10,000 riders per day for the first time. 33,000 volunteers assist in providing City program and services. Canada's Capital and the country's fourth largest metropolis, Ottawa is located in Eastern Ontario at the junction of three majestic waterways and just across the Ottawa River from Gatineau, Quebec. A cosmopolitan yet surprisingly intimate G8 capital, Ottawa is a place where you can immerse yourself in Canadiana and culture, embrace and enjoy the great outdoors, even in the heart of the city, join the celebration at year-round festivals and events, and shop and dine in a relaxed urban setting of distinctive neighbourhoods and districts. Whatever the season, come see for yourself! Reserve your Ottawa hotel, getaway package, and activities direct online. Want to take a look at what's happening in Ottawa? Click here.